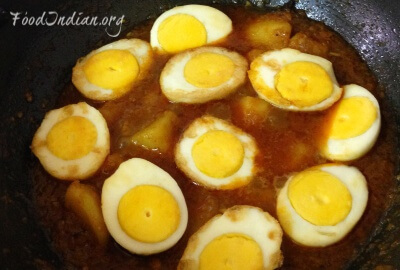 Egg Curry or Dimer Dalna is one of the special non-veg delicacy from heart of Bengal. 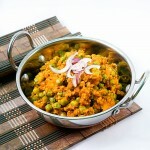 It’s all housewives answer to an empty pantry, busy weeknights and fussy eaters. 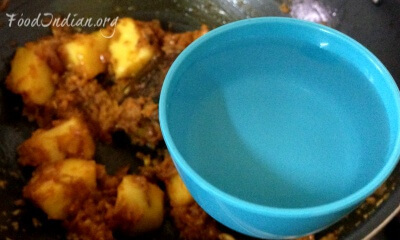 This is the recipe, hard-boiled eggs are cooked in rich and spicy onion gravy along with potatoes and tastes really delicious. There are days when you open your fridge and see empty vegetable trays and wonder what to cook for dinner. 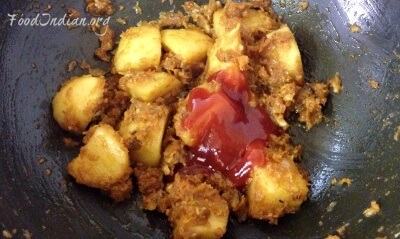 You just need to have eggs and potato in your kitchen and go ahead to try this recipe. 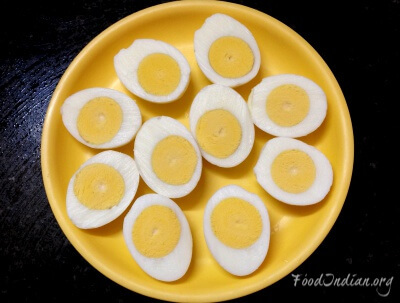 Boil the eggs and carefully remove the shell. Cut them into half. 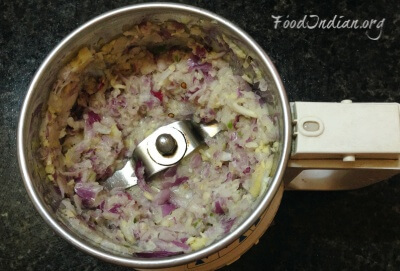 Take onion, garlic cloves, ginger and green chilli into blender and make a coarse paste . In a pan, add oil. 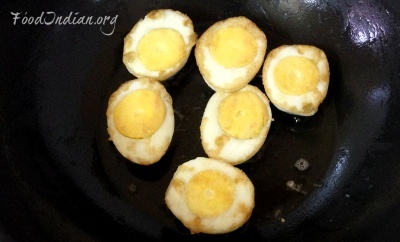 When the oil is heated, fry the egg pieces and set them aside. Now in the same oil, add crushed whole garam masala i.e. cardamom, cinnamon and cloves. After a while they will release beautiful aroma. 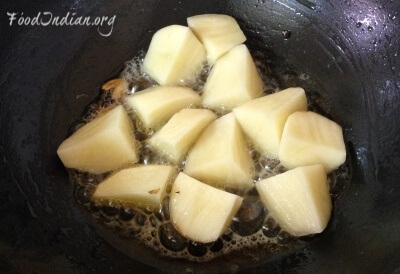 Then add the potato cubes into the oil and fry them for 5 minutes or until they become golden brown. 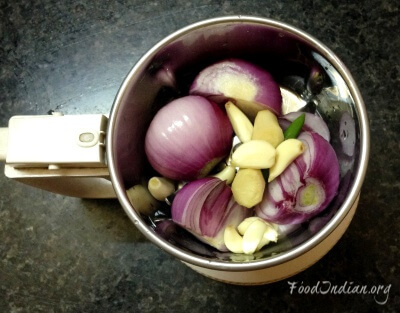 Add the onion mixture into the pan and cook on medium heat for another 5 minutes. 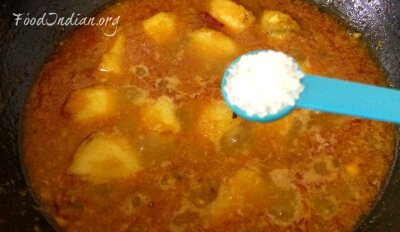 When the raw smell of garlic has gone, add salt, turmeric powder, red chilli powder and coriander powder into the mixture and combine everything very well. Meanwhile add tomato ketchup and cook for 5 minutes. 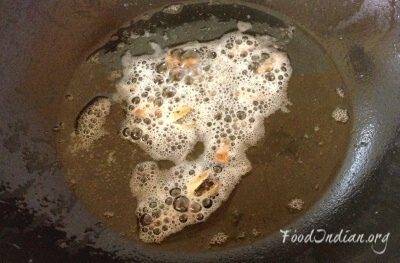 Add water, stir, and cover the pan with a lead for 10 minutes and cook on low flame. After 10 minutes put the lead off and stir the mixture. 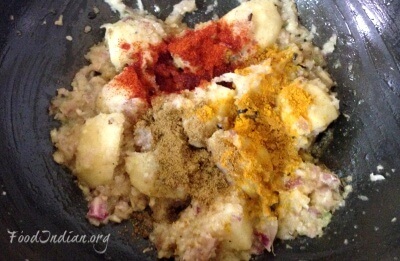 Cook until the potatoes become soft. 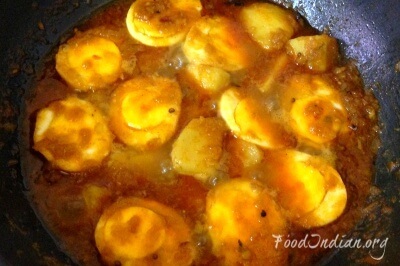 Add sugar and egg pieces into the pan, stir gently and cook for 5 -10 minutes. 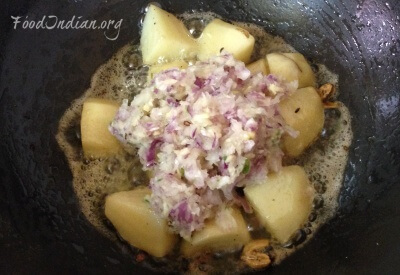 Switch off the flame and serve with chopped fresh coriander . The eggs should be boiled hard.